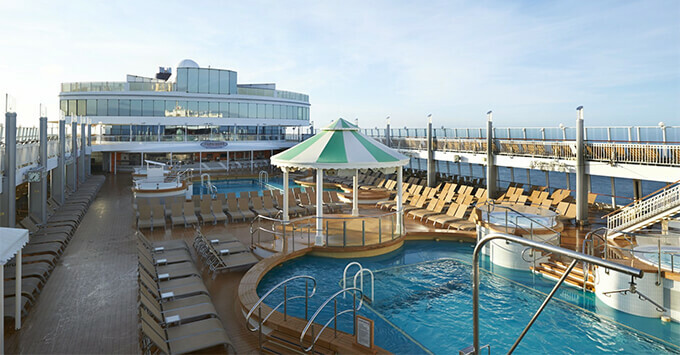 (11:48 a.m. EST) -- Norwegian Jewel is the latest ship to complete a refurbishment as part of Norwegian Cruise Line's $400 million "The Norwegian Edge" initiative. 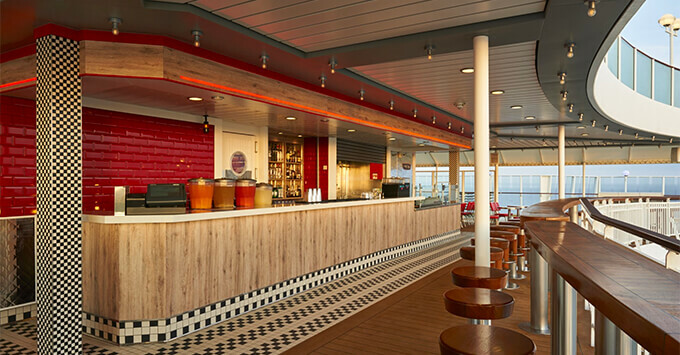 The ship emerged from a two-week dry dock with new and redesigned cabins, new and refreshed venues and new entertainment. "Norwegian Jewel's complete renovation showcases our dedication to providing guests with quality experiences across the fleet and around the world," said Andy Stuart, president and CEO of Norwegian Cruise Line. "Not only are we revealing updated designs and accommodations throughout the ship, but guests will also enjoy new venues and three incredibly exciting shows, one of which premiers for the first time on Norwegian Jewel." Two new Haven Deluxe Owner's Suites were added to the ship, each measuring nearly 1,200 square feet and featuring 567-square-foot balconies and a private hot tub. Each can accommodate up to four people. Norwegian Jewel will feature two news shows: "Rock You Tonight" and "Velvet." The first showcases a medley of songs from the best rock bands of the '70s, including Queen, Journey and The Who. "Velvet" is an Australian hit musical that makes its debut at sea on Norwegian Jewel. It features disco classics combined with circus acrobatics, as well as cabaret and burlesque elements. When the show premiers, it will feature "X Factor UK" alum Brenda Edwards. Following her eventually will be "The Voice" finalist Frenchie Davis.